Nativity Script – All the CUTE without the stress! 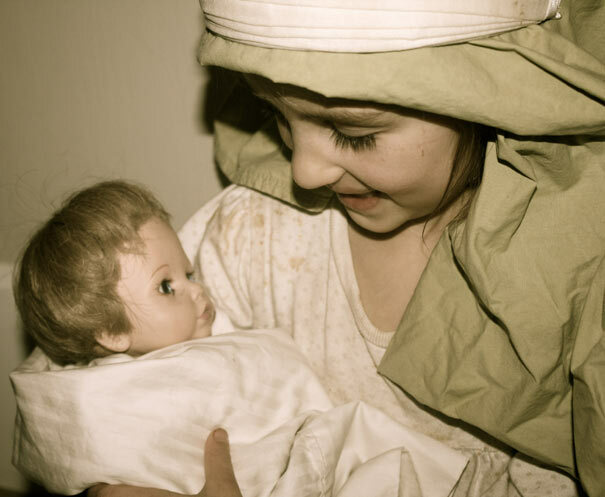 Is acting out the nativity stressful? 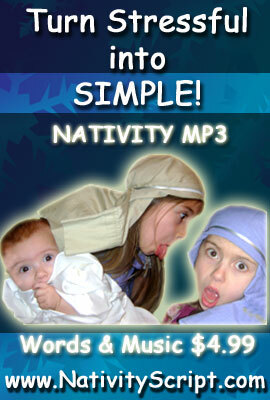 Enjoy a stress free nativity play each year by using this mp3 track with your family, church group or community. It’s fast and easy. We are delighted to share this high quality musical narration of the nativity script DIRECTLY FROM THE KING JAMES VERSION OF THE BIBLE! Just press play and watch the magic happen. 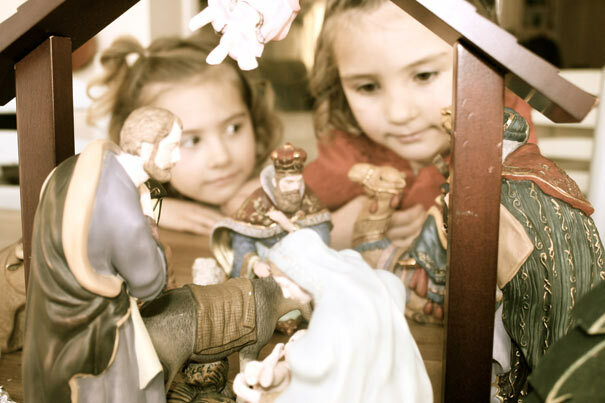 Our nativity has never been so easy and fun! Everyone deserves to enjoy lasting Christmas traditions. 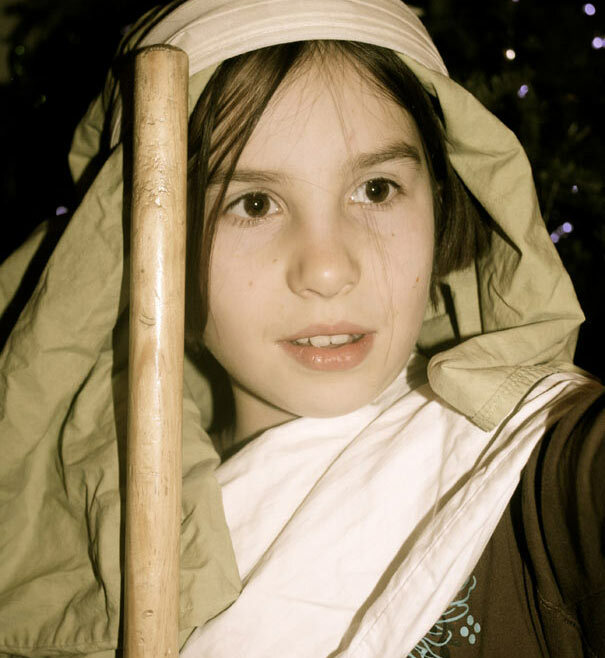 Acting out the Nativity on Christmas Eve or during the Christmas season can provide an excellent opportunity to come closer together and to gain a deeper understanding of the sacrifice our Saviour Jesus Christ gave when he came to earth and died for our sins. It is simple, yet very moving with the narration. and so glad they don’t have to say anything. Now I just dress them up and press play. Watch the video below to see how easy it is for a family to use the nativity script to act out the play. It is so easy and IT HAS ONLY BEEN EASIER each year as my kids get more familiar. It’s still fun too because of those cute unexpected things kids do. With good Christian families around the world losing sight of the true meaning of Christmas, it is so important to reclaim the spirit that should accompany this sacred celebration. 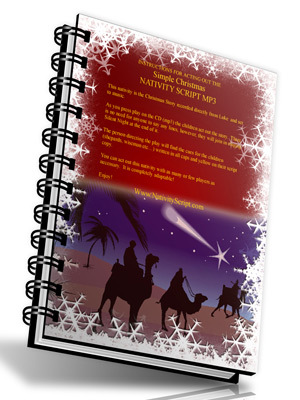 Keep reading and you’ll see why “Nativity Script” is a must have for every family! I used the Nativity Script mp3 with my group of 10. It didn’t matter that at the last minute 2 extra angels showed up and King Herod got sick! I love the nativity script. My kids love it, my wife loves it, and the in laws…. well they went to Hawaii for Christmas! 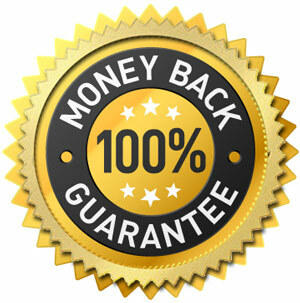 If you are not fully satisfied I will be happy to refund your money. In fact I’d be embarassed to keep it!